Dr Franz-Odendaal holds a PhD from the University of Cape Town (South Africa) and completed her post-doctoral studies at Dalhousie University. She joined the Mount in 2006 as a Natural Sciences and Engineering Research Council of Canada (NSERC) University Faculty award recipient (2006-2011) and has since launched an active productive research program in the field of skeletal biology. In 2011, Dr. Franz-Odendaal became the NSERC Chair for Women in Science and Engineering for the Atlantic Region (WISEatlantic). 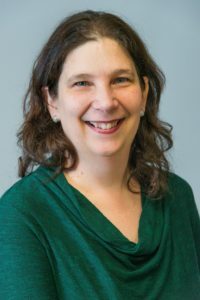 In this role, she works closely with the other four NSERC Chairs for Women in Science and Engineering to support women in Science, Technology, Engineering and Math (STEM) fields across Atlantic Canada, and to inspire girls to pursue careers in these areas. In 2013, she was the recipient of the Young investigators Award in Morphological Sciences by the American Association of Anatomists, and in 2015, she received the Mount’s Research Excellence Award for her outstanding contributions to the research community and research climate at the Mount.